(Natural News) The opioid epidemic seems to be on everyone’s minds these days, with the Trump administration having recently declared it to be a major “public health emergency,” and one supposedly caused by “drug traffickers” – for which President Trump himself wants to see harsher penalties against “dealers.” But a recent study out of Harvard University reveals that open borders and street hustlers, which the President has repeatedly insinuated are responsible for the opioid crisis, aren’t actually to blame. In truth, Big Pharma and its prolific network of white-coat pharmacists and physicians – the “legal” drug dealers of our land – are the primary culprits in the opioid epidemic. Many of them, shocking new research has found, routinely accept huge financial kickbacks in exchange for peddling as many opioids as possible, which has led to widespread addiction and abuse. Researchers both from Harvard and CNN uncovered damning evidence showing that between the years of 2014 and 2015, thousands of doctors from all over the country were paid well over $25,000 each from opioid manufacturers, while hundreds of others were awarded individual six-figure sums, simply for prescribing more opioids. In fact, the more opioid prescriptions these doctors issued, the study found, the more money they were given by the FDA-sanctioned opioid cartel. 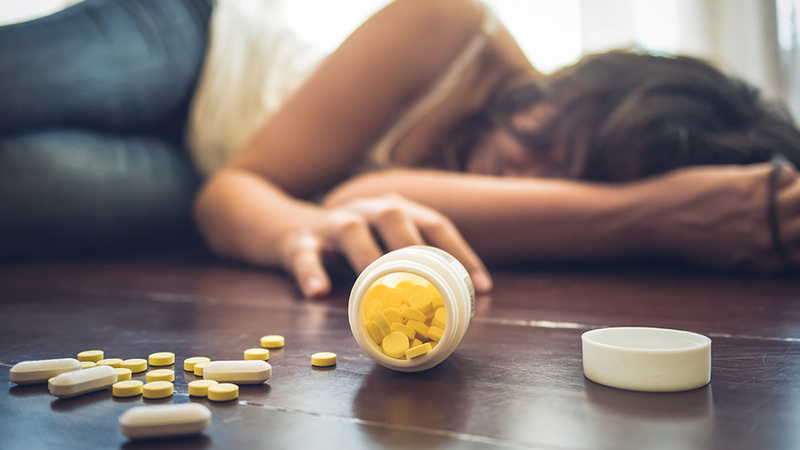 “It smells like doctors are being bribed to sell narcotics, and that’s very disturbing,” stated Dr. Andrew Kolodny, executive director of Physicians for Responsible Opioid Prescribing, in response to these eye-opening findings. Data shows that the top five percent of opioid prescribing doctors in terms of overall volume were paid twice as much money from opioid manufacturers as other doctors. Even more disturbing was the top one percent of opioid prescribing doctors, which were paid up to four times as much for their services. And the top tenth of one percent? Their bribery payments from Big Pharma were increased nine-fold. “What’s amazing about the findings is not simply that money counts, but that more money counts even more,” commented David Rothman, director of the Center on Medicine as a Profession at the Columbia University College of Physicians and Surgeons. The channel through which much of the kickback money seems to be flowing is Medicare, a government healthcare program intended primarily for people 65 years of age and older. As many as 54 percent of doctors who wrote prescriptions for Medicare patients, the study found – which numbers at least 200,000 – received direct payments from pharmaceutical companies that manufacture opioids. What this suggests is that the elderly and those on disability, many of whom are prime candidates for opioids due to their health issues, are being preyed upon by unscrupulous practitioners of medicine who know they can basically siphon their Big Pharma bribery payments through the sieve of a widely abused government social program. While it’s technically illegal for doctors to prescribe drugs in exchange for compensation from drug corporations, laundering them through systems like Medicare makes it difficult to prove any wrongdoing. Still, it’s obvious, based on the data that this cozy financial relationship between pill-pushing doctors and amoral drug companies exists, and is massively contributing to the massive increases in opioid overdoses and deaths. “It’s not proof positive, but it’s another very significant data point in the growing evidence base that marketing payments from drug companies are not good for medicine and more good for patient care,” says Dr. Daniel Carlat, former director of the Prescription Project at the Pew Charitable Trusts. Next : Does your bugout bag contain a medical kit?